Snap is not ready for production shipments yet, but we are getting extremely close. We have been steadily expanding our beta program and will continue to expand through the end of March. We expect to ship production units starting in late April, barring new delays. We have had four primary recent delays: 1) We decided to replace the sonar module with a higher performance custom unit. 2) We continue to find new bugs with Beta units. 3) High-yield loss on a few parts has created inventory shortages. 4) Our volume PCB order is delayed. We will discuss each source of delay, as well as some more positive news in this update. The sonar module is on the underside of Snap and is used for controlling altitude within sonar range and ground avoidance, which is especially useful in tracking and auto modes. As we expanded our testing, we found that our original sonar module didn’t work reliably over many terrain types and the range wasn’t sufficient to consistently avoid ground collisions, especially during fast tracking shots. The worst issue was that it occasionally gave erroneous data, which caused Snap to fly erratically. We had some ideas on how to make a better sonar module, but resisted making the change, as hardware changes always take longer than expected, and we know we’ve got more than one eager customer who doesn’t want to wait longer (not to mention, we had already, gulp, bought a whole lot of sonar modules). Ultimately, we decided that the performance as is was not acceptable and we took two long weeks to realize the sonar performance we knew was possible. This is now nearly complete and both ground avoidance and altitude hold are now working much better. 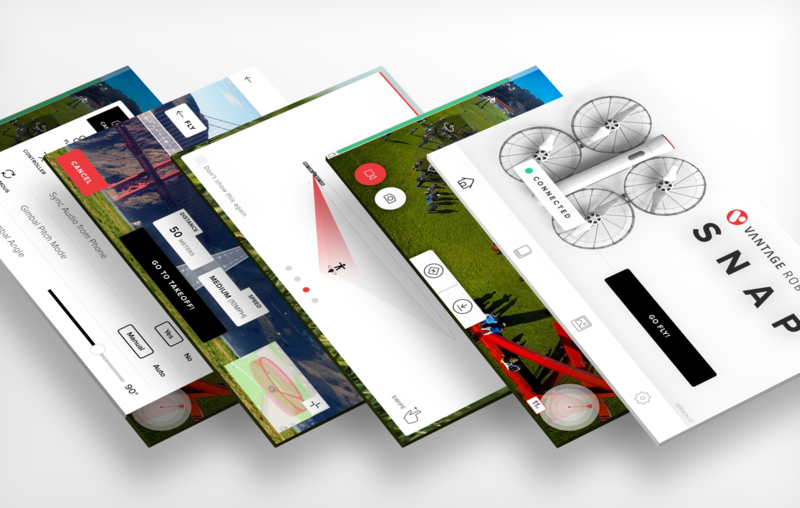 We have been steadily expanding our beta program and continue to feel so excited watching first time pilots harness the power of aerial photography with Snap. Testers have graciously been pushing Snap to its limits and sending us valuable feedback. 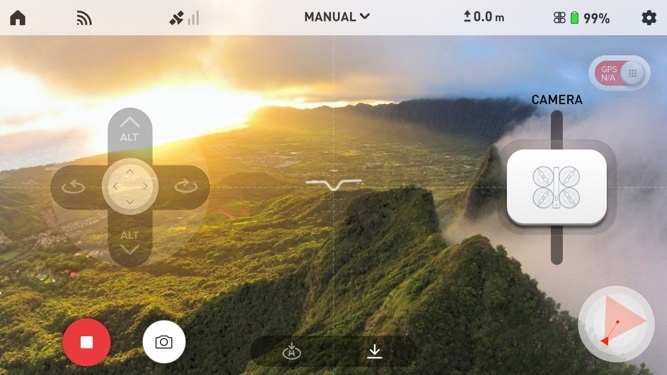 Beta testers have praised Snap for being able to use it in so many places where other drones would not be welcome, its dynamic range and color profiles, the ease of the SmartTilt controls. We’ve also gotten a lot of feedback on bugs and ideas for improvement, which we’ve been acting upon. Based on beta feedback, we’re working on improving the onboarding tutorial, creating a more constrained beginner mode, improving control over the gimbal pitch, and fixing a battery charging bug, in addition to a long list of other details. A few raw sample videos from our beta testers follow below. You can see many many more on our vimeo channel. We’ve been working through the complexity of maintaining inventory on the 372 unique parts to make a Snap as we expand production. Yield and quality issues make this challenge more complicated and resulted in some delays, as we often have to scrap components that don’t meet quality standards or are damaged by production process errors. As a result, we have had shortages, and our overall production rates have often not been as high as we have targeted. Our team has been working through the root cause of all yield and quality issues to minimize this problem, as we have been ordering excess quantities for parts with known higher scrap rates. These issues happen for every product and never go away, so this shouldn’t be a surprise. However, Snap does continue to surprise us with the number of extremely challenging yield issues. As one example, GPS jamming reared its ugly head again unexpectedly when we switched the coating our our heat sink from a chromed zinc to an alodine coating. We switched to alodine as the coating is dimensionally slightly more accurate than the chromed zinc plating, which gave us a better fit between the heatsink and our plastic fuselage body. After doing this, we started seeing an increased number of units rejected due to not meeting our GPS accuracy quality standards. We ultimately had to pull apart all of the units made with the alodine coating, after discovering that this coating reduced the effectiveness of the grounding of our heat sink, which led to the heat sink acting as an antenna and jamming our GPS. We have subsequently switched back to the chromed zinc plating, but had to destroy more units than we like to think about to figure out the source of the problem and fix it. As we steadily ramp production, we have been transitioning to larger order quantities for our printed circuit boards (PCBs). We planned on longer lead times for these boards, but ran into a number of unexpected delays in a few last minute changes, questions from vendors, the final quotation process, and legal wrangling on contracts. Almost three weeks slipped away from us due to these banal issues. We hate it too. Last month, we said we targeted starting full scale production at the beginning of March and taking 6 weeks to fill all orders. We are now in the beginning of March, but are still ramping production. We continue to increase production rates and the number of units we ship each week. We will continue to call the units “beta” until we have fixed all known impactful bugs and are seeing our customers have consistently good experiences. Our expectation is that this will happen in late April. At our current pace, we expect to ship about 5% of our pre-orders in March, an additional 15% in April, and the balance May. The tracking shots have quickly become our mode of choice for amazing videos. Tracking shots can be intimidating, as you are effectively letting software take over in the pilot seat, while you entirely divert your attention to your activity of choice. We’ve found very few settings where we feel comfortable doing this with open bladed designs capable of causing injury if they unintentionally hit someone. Snap combination of safety, performance, and focus on ease of use make it an especially good platform for tracking shots. Snap’s light weight, shrouded blades, and break apart design go a long way to give peace of mind as you give a microprocessor the keys (well, actually, seven microprocessors). Our software modes for tracking shots are intended to both give you more artistic control of your shots as well as help you understand how Snap will move with you, giving you more peace of mind. Snap currently has three different tracking modes. In air tripod mode, Snap is constrained to a point, and yaws and pitches the camera to keep you in frame. In virtual wire mode, Snap is constrained to a line you define in 3d space by pointing your phone. This shot is especially useful for creating interesting movement between the camera and subject as well as doing effective leading shots when your direction of motion is varied (like skiing down a halfpipe). In free form tracking shots, Snap moves in lockstep with you in all directions with whatever initial offset you chose. This mode is especially effective for really big long tracking shots with large changes in altitude and big changes in direction. We have a number of other tracking shots in development to expand on this range of options and continue to make Snap the best drone for tracking shots on the market. To close, we wanted to share our recently re-edited highlight reel, which includes both recent footage, as well as some of our favorite older shots. Hope you enjoy it! Thanks again for your continued support and patience. We know there are a million cool shots that you are missing out on while you wait for your Snap, and hate thinking about the lost opportunities. Please know that we are pushing as hard as we can to get you flying, and won’t rest until all pre-orders are filled. Hello, again, from Vantage HQ! If you’ve been following our progress closely, you know that we competed in the Extreme Tech Challenge. Now that everything has wrapped up, we wanted to give you a recap, but first of all, we won! Last fall, Vantage Robotics, along with over 1300 other startups, entered the XTC competition. 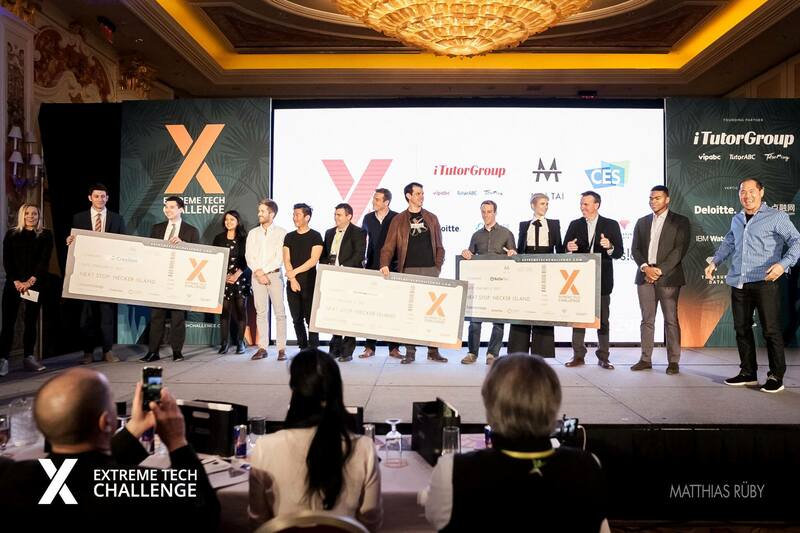 XTC is a tech challenge that allows young companies to be recognized and attract investment from leading tech luminaries. In November of 2016, the top twenty-five contestants were announced. We made it to this round, and were further interviewed by a panel of XTC judges. Of those twenty-five, Vantage was selected to be one of the top ten companies invited to come to CES in Las Vegas last month. 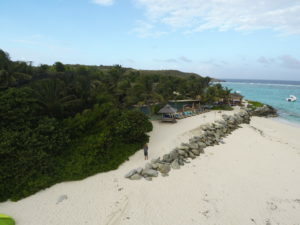 Our co-founders flew out and presented to another panel of judges (you can read up about this and watch the video on an earlier blogpost, https://vantagerobotics.com/news/off-necker-island). We qualified as one of the top three companies out of these ten. 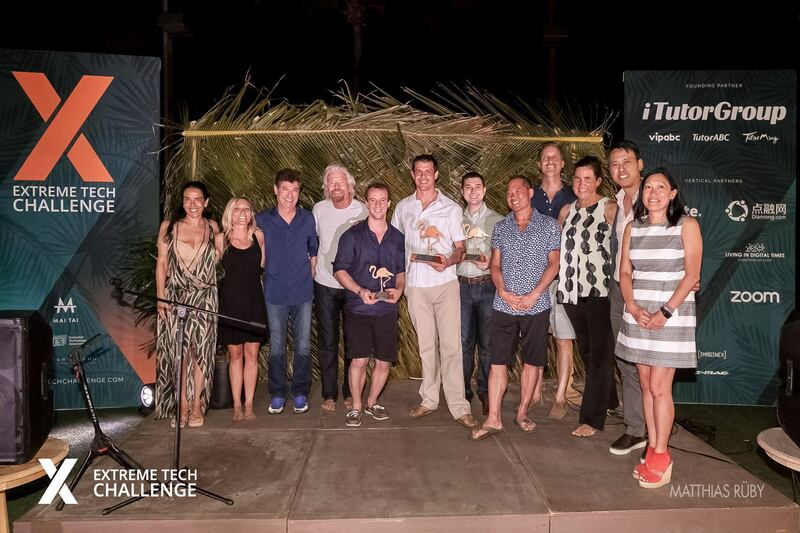 We were invited to the final round, where we would present to a panel of industry leaders on Richard Branson’s private island in the Caribbean! The list of judges included Sir Richard Branson himself, venture capitalist, founder and CEO of Breyer Capital, Jim Breyer, Veteran software entrepreneur and founder of C3 loT, Tom Siebel, Managing Partner of Aspect Ventures, Theresia Gouw, CTO for the Hillary for America campaign, Steph Hannon and COO of the iTutor Group Jerry Huang. -Is the company well timed for competing in a large and fast growing market? -Does the team have the track record and experience to achieve their goals? -Can this venture create an exceptional capital return for investors? won’t cut your head off is an advantage as well. We must admit, hearing one of the most successful entrepreneurs in the world say, “I just love the product”, sent tingles down our spines! In the end, we edged out Cresilon with a score of 202-200, to take home first prize! After a short speech from Tobin, the whole party was surprised with a performance by Mix Master Mike of the Beastie Boys. You can watch the award ceremony and Tobin’s speech here (sorry, no Mix Master Mike performance though). So, what did we win? According to XTC, their mission is to “empower entrepreneurs and their companies with visibility, resources and a rolodex that together, bring a company more visibility, the ability to scale at low to no incremental cost, and to surround entrepreneurs with mentors that can help them build on product success with business success“. We’ve already started to experience the power of connecting to this super hero squad of the business world. Richard Branson and Virgin have been a personal hero and role model for us and the opportunity to engage with him like this is a dream come true. With the backing that comes from our XTC win, we have a suite of connections, and vetted validation to our name. This helps immensely with fundraising, hiring, and partnerships, the key elements needed to continue to improve Snap and create an amazing experience for you. 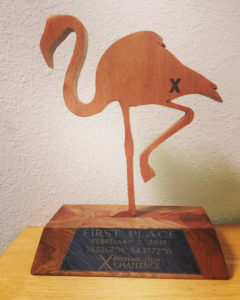 We are deeply honored and excited to take home that flamingo trophy, and want to give a huge shout out to all the other contestants as well as a massive thank you to the whole Extreme Tech Challenge team. After the event, Tobin and Joe didn’t have too much time to lounge around on the island (no kiteboarding for either of them this time). 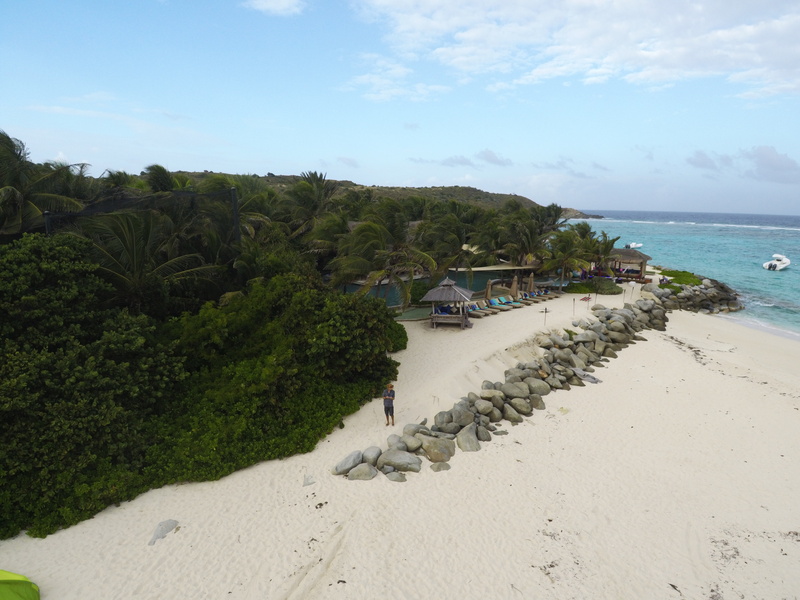 We spent our last day in the Caribbean tuning the virtual wire and free form tracking modes from the best office location we think we’ll ever experience – a small beach outside of our hotel. You can see all of them on our new vimeo channel, but here are some of the highlights. We set this shot up using an upward angled virtual wire. The upward wire angle and crossing back and forth under the wire creates a bit of movement between camera and subject, which adds more visual variation than straight tracking shots. This was shot in 4k 30, raw footage from camera. There were fairly strong offshore winds, so water was flat, but Snap was getting hit hard by gusts. Thanks to gimbal, there’s no sign of the wind or Snap’s rapid attitude changes to maintain position. This next video is shot in some seriously high wind – enough to kiteboard! We still see a bit of yaw movement in these extreme wind conditions; we are making steady progress on this and expect it to continue to improve. The rest of the team continues to power through getting Snap ready to ship. We will be sending out a post later this week with updates on our manufacturing ramp and shipping timing. As always, thank you for following our progress and all the great words of encouragement and feedback we hear from so many of you. This journey has taken us to more places than we ever expected, but the destination remains unwavering – creating the world’s best flying camera that you can take with you anywhere, use anytime, and see the world in an entirely new way. Thank you for being a part of this journey. Our Beta testing has been both positive and productive. We have been finding and fixing a healthy number of bugs, but haven’t had any issues requiring significant redesign. We’ve been getting valuable and constructive feedback as well, and incorporating it into our design wherever possible. Most of the issues we’re dealing with have been software related, and the hardware related bugs have been on smaller components. We cannot guarantee any precise shipping dates yet, but we target ending the beta test period and beginning production shipments on March 1st. We think our chances of getting all our parts and hitting this goal is about 70%, and have no reason to expect any major delay. From there, we expect that it will then take approximately six weeks to manufacture all pre-sale orders. We understand we have moved this date back enough times to stretch everyone’s patience. We’re not happy about it either. 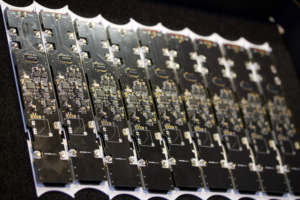 Delays from our manufacturer in shipping PCBAs we needed for FCC approval and beta scale-up were the primary cause of the most recent delays. However, the responsibility for maintaining the schedule is ultimately ours and we accept full responsibility. We have subsequently received the delayed boards, passed FCC testing and resumed beta expansion. We will be scaling up beta over the course of the next month, so if you are an early backer and live in the US, look for an email from us as we expand the beta test. We’ve made substantial progress building up our assembly line and training staff to scale-up production. Check out this glue robot we created for building rotor sets below. We are getting final parts delivered every day and our inventory is filling up. We are not, however, entirely out of the woods. Snap is made out of 450+ parts, and every single one is required before we can ship. Until we have all of them in our hands, we are dependent on timetables that are not entirely in our control. We are finding and fixing bugs every day, and improving on all existing features. Android is coming along well and will be ready to fly by the time we ship, although the full feature set may lag iOS just slightly. Our autonomous flight and tracking modes are looking top notch. 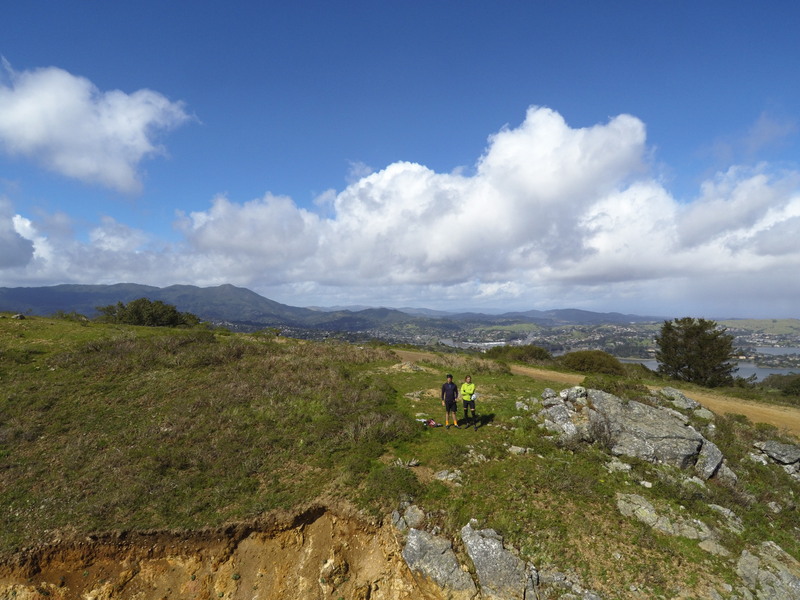 Here is a recent video from a test flight testing our newest feature, free-form tracking with elevation changes. How about some recent footage? When do you expect to ship out the first wave of accessories? We are focused on filling pre-sale orders. 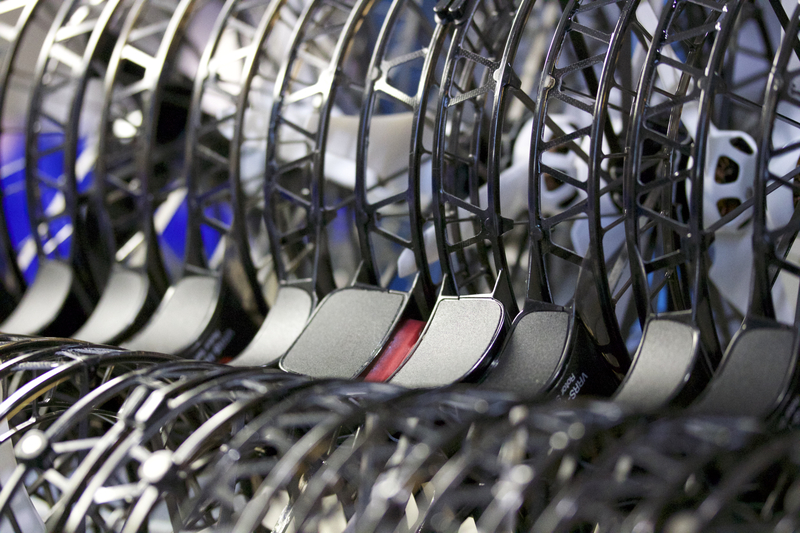 We expect to complete our speed rotor set and range extender quickly after pre-order units have shipped. If you want a glimpse into the future, these prototype rotors are designed to fly much faster and in high wind conditions. Additionally, the prototype in the picture flies for 32 minutes and is over four times quieter than a Mavic according to our acoustic testing (67 dBA vs 74 dBA). 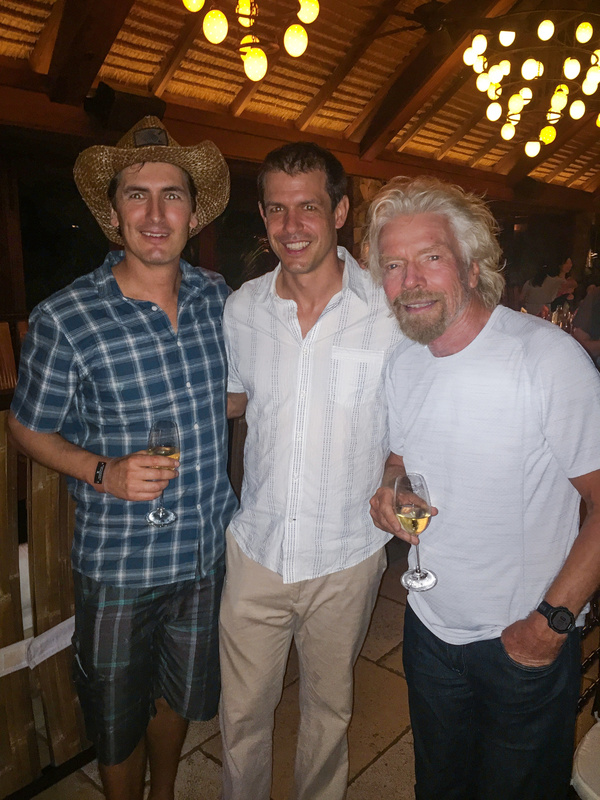 Tobin and Joe are heading out to Necker Island today, and will be presenting to a panel of judges, which includes Sir Richard Branson himself, tomorrow (Thursday)! If you are interested in watching the event, there is an XTC Facebook event that will have a live feed, https://www.facebook.com/events/1444915052199045/. The rest of the team will be hanging back and charging along in the office getting your Snaps ready (the team vacation will have to wait until next year). Do you have a user manual? Can I see the app before I get Snap? How does the app work? We are still developing the app, and will not publish it until we are close to shipping. 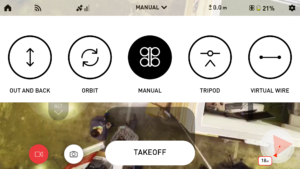 The app contains tutorials, videos, and a full manual to help you get comfortable flying. We will publish the tutorial videos before releasing the app, but not for a few more weeks. Until then, here are a couple quick peeks of our iOS app. Note that this is subject to small changes (like adding the free-form tracking to the list of automated features). What features will or will not be ready at launch? Manual control with the SmartTilt, all of our automated flights (Orbit and Out and Back) and tracking features (air tripod, virtual wire, and free form tracking), return-to-home, smart battery, and geofence functionality are all working very well right now and we expect them to be ready for launch. There are a few areas that require additional work and may not be 100% complete at launch. The video streaming latency is excellent, but reliability and range still need software improvements. Tracking is GPS only, as our computer vision software isn’t ready. The DSM module will not be ready at launch. These issues are high priorities, and we plan to focus on getting them up as quickly as possible. Will we be able to order extra parts and batteries before shipping still? Our current payment partner is great with pre-order sales, but does not support shopping baskets for extra parts. We need to relaunch our website with a new payment partner in order to do this. This has been a lower priority and may not be ready when we start shipping, but we expect to launch soon after. We will make sure to announce as soon as the new website is online! When will the pre-sale end? Soon. We will make sure to announce a few days before it ends so that all of the last-minute shoppers will be able to squeeze in an order. We’ve been touched by the outpouring of support from our community, and are incredibly grateful for your patience while we finalize everything over here. We also love getting feedback from our community, so please feel comfortable letting us know if you have any questions, thoughts, or requests. We’re off to Necker Island! Several weeks ago Vantage attended CES with the Extreme Tech Challenge as one of the top-ten finalists, and, as the picture suggests, we finished in the top three out of 1300 applicants! Next stop is Necker Island in early February to pitch a panel of judges including Sir Richard Branson himself. XTC’s video below will give you a better sense of what will happen on the island. As co-creator Susi Mai mentions, it combines fun and business in a unique way— hard to beat a beautiful setting and the company of inspiring and smart people. 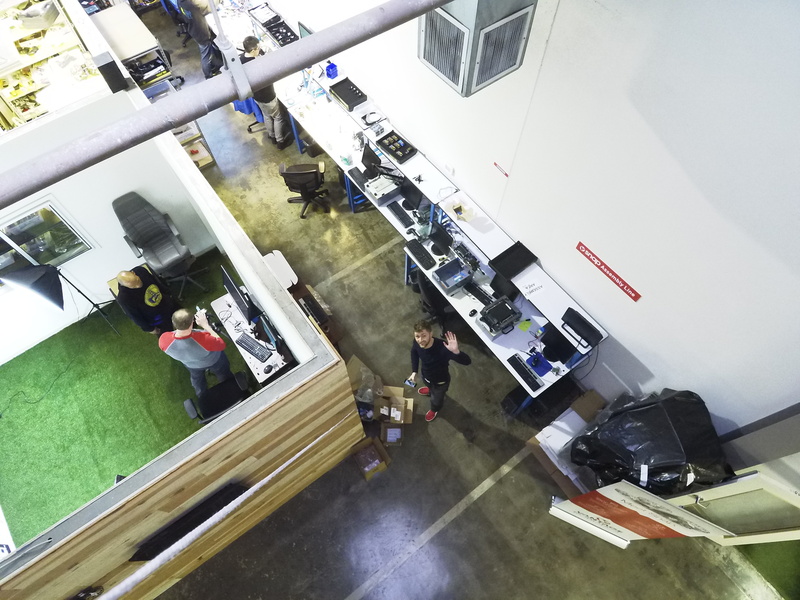 In the meantime, the Vantage team continues to refine beta units, get more Snaps in the hands of beta testers, expand and improve our production line, and and work through a myriad list of logistical challenges. We’ll be sending out a more detailed update on delivery progress later this week, as we know all of you are eager to get your Snaps. The short story for those who can’t wait is that Snap is working well and scale up logistics are the primary hurdle between now and you getting your Snap. Stay tuned for more updates and thanks for following our progress, as always! We wanted to update everyone on our progress towards getting Snap into your hands. 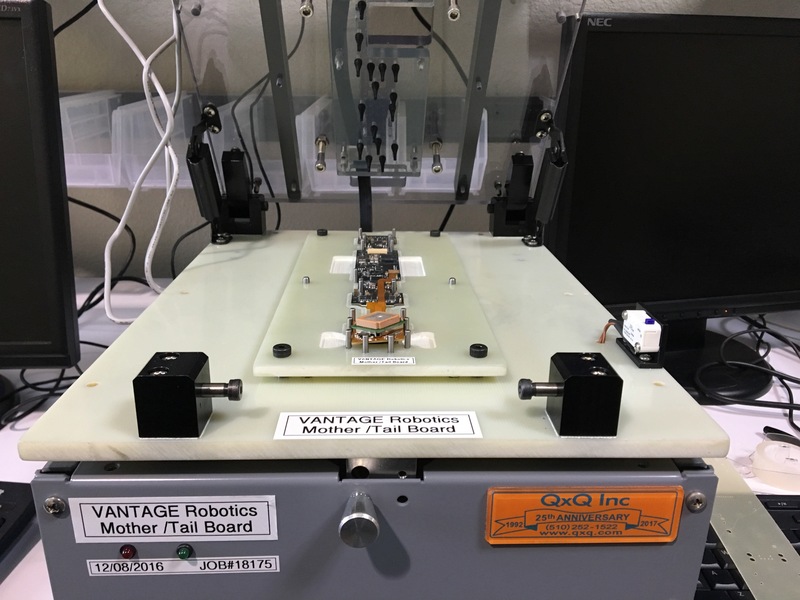 Vantage has been manufacturing and shipping beta units since our last update, albeit less quickly than we would like. We will be continuing to expand our beta test and ramp up production over the course of at least the next 3 weeks before we will begin production shipments. We know many of you were hoping to get your Snap by Christmas and we’re sorry to make you wait. Camera firmware stability: There is an intermittent bug that causes our camera firmware to crash due to a kernel panic. This held up initial beta shipments. We now have a patch that addresses the primary issue, although it isn’t 100% solved. through yield issues that have been delaying production ramp. Our extensive use of high performance adhesives and large number of complex PCBAs have been especially challenging. We are moving faster every day and expect to continue to accelerate here. Fixing issues found by beta customers: Beta testing is exposing issues, especially around ease of use. We hate to make any of our customers feel anything less than brilliantly smart, so we’re working to dial in the experience to fix these issues. FCC Approval: We had a few unintentional emissions that were slightly above allowable limits for FCC approval (this is quite common). This required a few additional electronics iterations to ensure that Snap is 100% legit. Hand launch experience: We’ve been continuing to refine the experience of launching Snap from your hand and it’s getting solid. We’ve got some exciting features we’ll be announcing soon that extend this functionality for a number of cool automated shots you can get without ever touching your phone. PCBA IQC Functional Testers: We acknowledge these are more exciting to us than they may be to you. These testers do automated testing and flashing of our electronic circuits, which helps identify yield issues further up stream and has been massively accelerating our production rates, which we all can get excited about. Over the air firmware update: Snap has 7 microprocessors, all running custom firmware, which makes updating code tricky. We just completed the functionality enabling this to be done from the app, making it way easier to keep the code up to date. Android app progress: The Android app is coming together well and we expect it to be ready when we ship. We know we’ve been pushing your patience in delivery here, but we’re getting really really close! There is nothing in the world like Snap and we know this extra effort we’ve had to put in will be worth it. While video capture and edit have not been our primary focus for the last month, a we’ve included a few recent videos below to whet your appetite. From everyone at Vantage, we wish you a wonderful holidays and a great New Years. This is an exciting week for many reasons. As I’m sure few have missed, Tuesday is election day in the U.S. and it’s a big one. While we have been largely heads down during this important time, focusing on getting Snap into your hands, all of this discussion of values during the election has been a good reminder for us to consider our own values and make sure you understand exactly what we stand for. 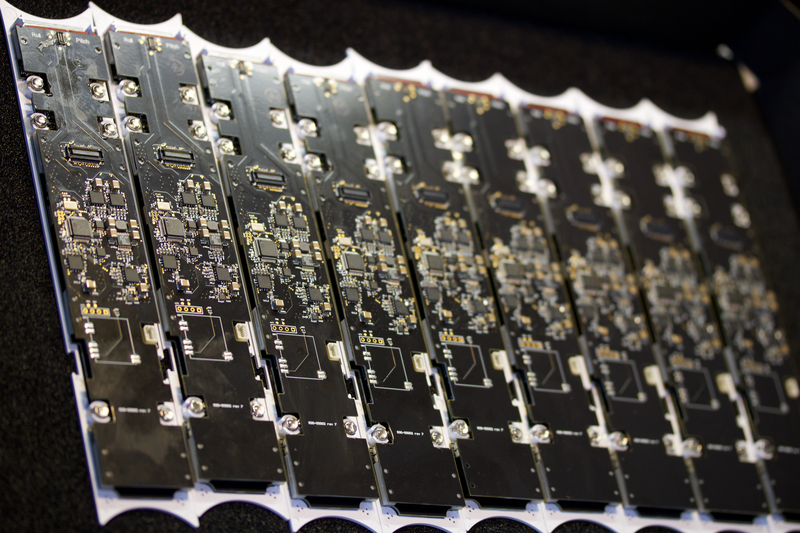 This is also an significant week because we plan to ship our first beta units by Friday. We’re excited to share more on both topics in our latest update today. The team at Vantage continues to work with passion and intensity to get you your Snap and make sure it is right. 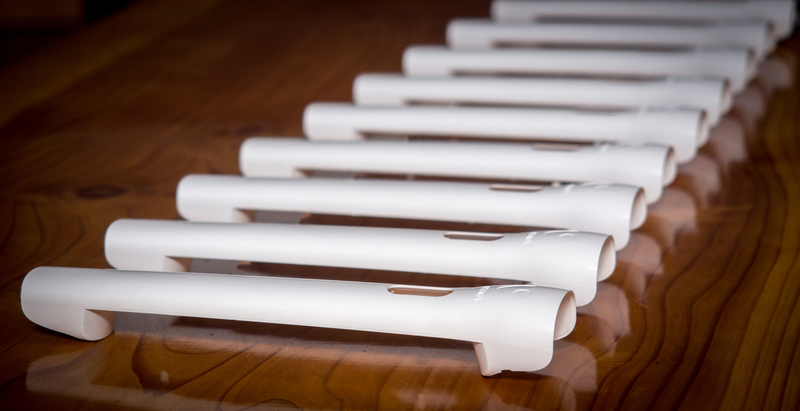 We have been building beta units with our manufacturer and plan to ship our first ones at the end of this week. We will continue to ship beta units for the rest of November and plan to ship to our pre-order customers in December. We have solved the issues we mentioned in our last update including the GPS jamming, tooling challenges, and a long list of software bugs. We have been flying and enjoying our internal test units for the last several months. We do continue to find bugs and have additional details we would like to refine, but we are really really close and incredibly excited. Our primary technical focus at this point is video streaming performance, video quality in the widest possible range of conditions, and making sure we nail ease of use (we hate products that make us feel dumb). All of that being said, we have some updates we need to share. First, our Android app development is behind schedule and we do not expect to have our Android app ready until January 2017. We know this will be a disappointment for our customers with only Android phones and we sincerely apologize for the delay. Second, we have decided take a slightly different approach regarding DSM support: we are going to offer a free DSM module to pre-order customers who want it and ordered before Nov 10, 2016. This will be an additional accessory that non-pre-order customers, and customers who order after Nov 10, 2016, will have to purchase. Edit: When the DSM Module is released, we will reach out to all pre-order customers who placed orders prior to Nov 10, 2016. There is nothing to do prior to the release date. Here’s our thinking: our most recent survey revealed that the vast majority of our customers don’t know what DSM is and/or don’t plan to use a DSM controller. With our in-depth testing using a smartphone and game controller, we frankly don’t think a DSM controller will be useful to our customers in most situations. Furthermore, one key benefit of a DSM controller is increased range, however we found that the internal antenna for the integrated module had significantly less range than the external antenna on an add on module. This also helps us keep Snap affordable for future customers who don’t plan to use it with a DSM controller. Snap is already provisioned for this, and completing and shipping this add-on module will be a top priority after we have shipped Snap. While we are in the midst of working through every last little detail, we want to take a moment to step back and talk about the big picture, what keeps us working passionately, and why we believe Snap matters. 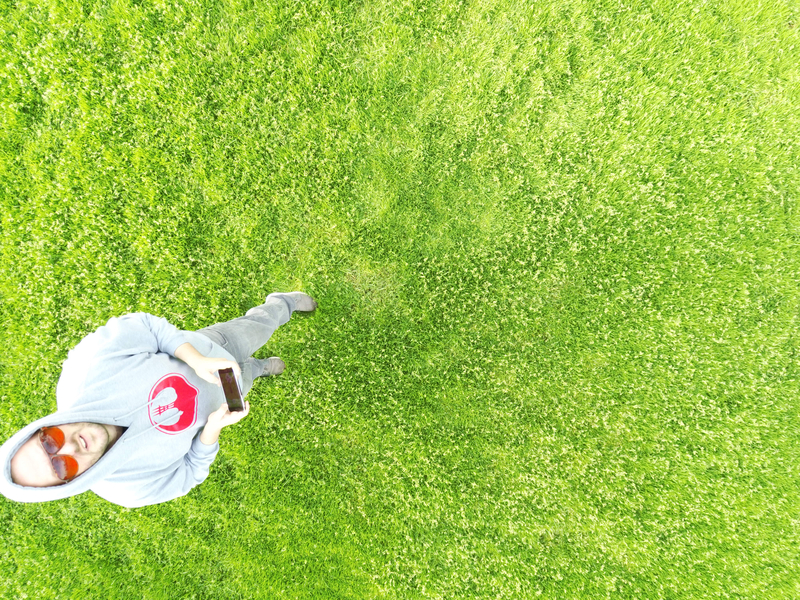 The drone industry is still in its infancy and Snap is a completely different approach. While Snap is packed with an insane amount of cutting-edge technology, we don’t want you to love Snap for it’s amazing sensor fusion, advanced composites, or meticulous micro-gimbal. We want you to love Snap for what it lets you do, and we think Snap lets you do something amazing. It lets you capture moments that matter in an entirely new way, free from your limits of motion. Your stories are personal. Forget about flying cameras for a moment. Think about the stories you most want to remember. The stories you most want to share. Your first kiss. Your first love. Asking the big question. Those first steps. Your shared adventures. Now consider how many of those stories have people in them. 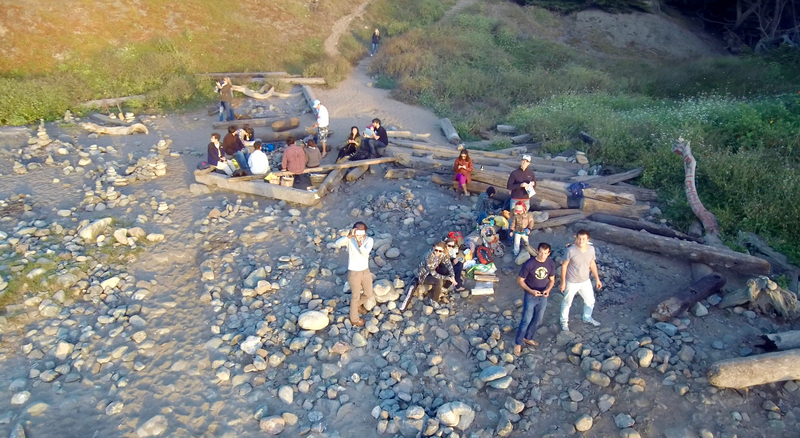 This is why we made a flying camera designed for use around people. People are what make our stories matter, and Snap is the only flying camera truly made for capturing those stories. The best camera is the one you have with you. And we want you to be able to take Snap anywhere. This meant leading the industry by scaling down on size, but not on performance. But it’s more than that. Using a quad with unprotected shrouds near people is like smoking at a kids birthday party. We don’t want to be the one making others uncomfortable, which previously often meant leaving existing drones on the ground. Snap’s safe design allow it to be your camera of choice anywhere — one that’s welcome in a crowd. This means you can take Snap to the places that matter. Feeling smart feels good. So why does so much technology make us feel dumb? We hate this, too, so we designed Snap to make you feel capable. Snap’s design and interface has been considered, tested, and reconsidered with the goal of making great aerial video fun and easy. This means you can stay in the moment and focus on what matters. Your dollars count. We know quality flying cameras, including Snap, are expensive. We’ve worked hard to keep Snap as affordable as possible, but our primary focus is creating a product that gives you your money’s worth through the length and richness of the relationship you can have with it. Nothing ends a relationship faster than a non-functional product, so we’ve designed Snap to survive those inevitable crashes and make repairs trivial when big accidents happen. We’ve also designed Snap to grow with you over time and stretch the value of your purchase. Snap’s alternative rotor sets and add-on modules will enable you to move faster, higher, further, and longer than any product in the world, so you can continue to expand your horizons. I had to give my Snap to our mobile developer this weekend and it’s absence felt notably significant. I have been infected with the pleasure of this new freedom of movement and perspective. When my son was throwing bread for ducks in a local duck pond, I struggled to find an angle with my iPhone that captured his expression without getting wet. 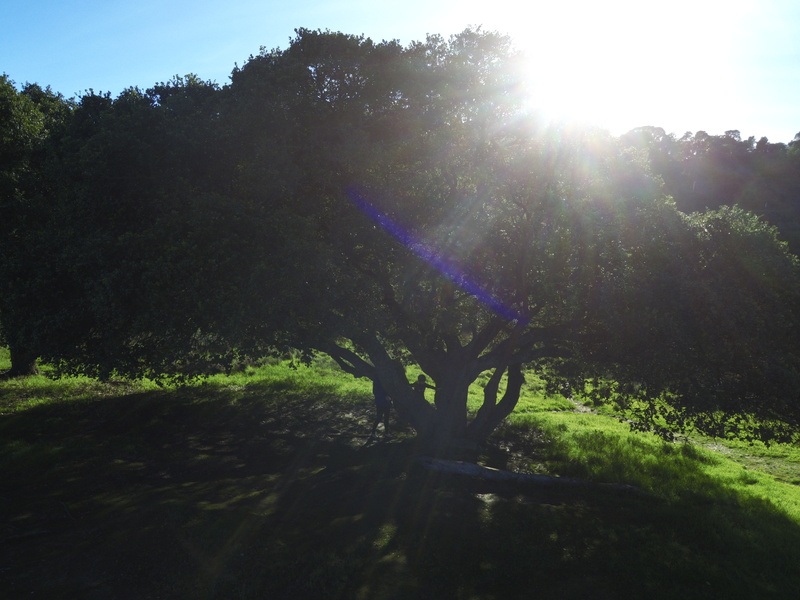 And then when we saw a large parrot up in the trees near us (which is still a bit of a mystery, as I had never seen anything like it in San Francisco, including the famous parrots of Telegraph Hill), I again struggled to to find the angle to do it justice. The list went on from there. While I felt frustrated, it also make me feel even more excited to be able to share this pursuit with the world. 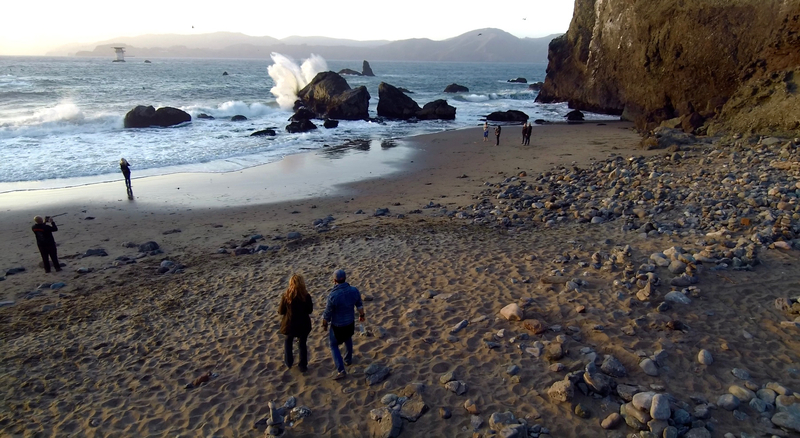 We close with a video I shot during a hike in Point Reyes with my family and one of my closest friend’s family. This reflects many of the values and goals we shared. And I don’t think there is another flying camera in the world that I could have used. We will be in touch with updates on the Beta program and your specific delivery timing. Thank you as always for your patience, support, and ongoing belief in our adventure. We can’t wait to get Snap in your hands and see what you do with it. PS – Don’t forget to vote! Phew! At Vantage HQ we can’t believe it’s already the middle of September! Between finalizing details with the manufacturer, continuing with tooling, and working to finalize our smartphone app, summer went by in a Snap! With this, of course, we know our community has questions that they want answered. In our last update, we let you know we were working on challenges with GPS jamming, a lagging key component vendor, and completing tooling. After several additional board iterations, we’re happy to let you know our GPS is now working spectacularly, although a few small issues remain at certain video streaming data rates. We expect the board spin we released for fabrication several weeks ago will address this final problem. The key component is in hand and on track for volume. However, the integration of the lagging component remains a risk area, as our test and debug timeline has been compressed. We’ve addressed the short shot molding issue we mentioned with the fuselage, but we still face problems and delays with our tooler for other parts, and this continues to slow down our otherwise swift progress. The list of tooling issues is now considerably shorter, but we do still have a few remaining challenges before we are ready to ship. We are also working through remaining software details and bugs, which we are resolving quickly, but have not yet completed. Collectively, the remaining problems are well bounded and small, but so is the timeline for fixing them. We are optimistic about the time needed between Beta and production, but this is currently an unknown. Our expectation is that we can begin sending Voluntary Beta units to our first pre-order customers on a rolling basis starting in 4-6 weeks. We plan to ship the bulk of pre-orders in November and December. We will begin reaching out to the first 5% of customers in approximately two weeks to confirm participation in the Voluntary Beta program. We know many have been waiting patiently and don’t want to wait more. We’ve been very grateful for your supportive emails and positive comments on Facebook and the blog pushing us to get the product right. Every single member of the talented team at Vantage has been pouring their heart and soul into making this happen. We’re as eager as you are to see this baby ship and realize the potential of a product that makes it truly easy to capture spectacular aerial video. Speaking of our team, we wanted to let you know we’ve recently added two highly-qualified members and they’re already hitting the ground running. Ramnik Khangura joins as our VP of Operations, and Aaron Crayford joins as our VP of Mobile Software. Note that we’ve had folks working in both capacities for a long time; these two roles are for accelerating these areas, not beginning work. Ramnik brings deep knowledge of production processes, vendor relationships, and the ability to scale complicated products to high volume. He most recently was the VP of Operations at Navdy and previously a Global Supply Manager at Apple where he was responsible for operations on the launch of both the Apple Macbook Pro and Watch. In addition to sharing the team’s passion for actions sports, Aaron is a world expert in video streaming and an accomplished mobile developer. He has shipped 15 advanced software products including Vusion, an HD video streaming company he founded whose software has been used by millions of customers, and Aloha, a mobile app that reached over a million users in a few weeks. We can’t wait to make Snap part of your daily experience as well in the months to come. We know this has required some patience; we’re working tirelessly to make sure it’s worth the wait. In our next post, we’ll dive into the interface design for our smartphone app, so stay tuned. As always, thanks for your ongoing support! Don’t hesitate to leave your questions in the comments. We know many of you have been eagerly awaiting an update on our progress with Snap’s delivery. The team has been working fiendishly to deliver Snap as quickly as possible, making sure you get a product that is worth the wait. Since our last update two months ago, we have tackled a thousand little challenges and few big ones. We’ve had many successes, but we’ve also had a few setbacks. We are slightly behind the schedule we previously shared. Our expectation based on the current schedule is that the Voluntary Beta units will still go out later this summer and the rest of the orders will ship this fall. We believe we can be at the earlier end of these ranges, but until all testing is complete and every last component is in stock and tested with inbound QA, we need to be ready for surprises. We’ll make sure to keep you in the loop with all the details behind the scenes, so you can keep up with our progress. Despite these specific challenges, we remain confident and excited about creating a flying camera like nothing else in the world. A camera that will change the way you capture stories and adventures. We can’t wait to get Snap into your hands and and assure you we are moving towards that goal with dedication and conviction. When we published our last update, the design was complete, but we still had a few remaining bugs to fix and changes to make that were needed for reliability and design for manufacturing (DFM in product design parlance). In the past few months, the team has addressed issues from our toolers, solved cosmetic problems with tooled parts, and tuned the design in areas where we saw small opportunities for improvement (like getting the magnetic pull force just right for our increased force of the additional pogo pins on our updated battery connector). This effort is largely done, however, we are still in the process of completing a few last DFM and DFA (design for assembly) changes for the gimbal design, as well as finalizing a few details on indicator lighting. 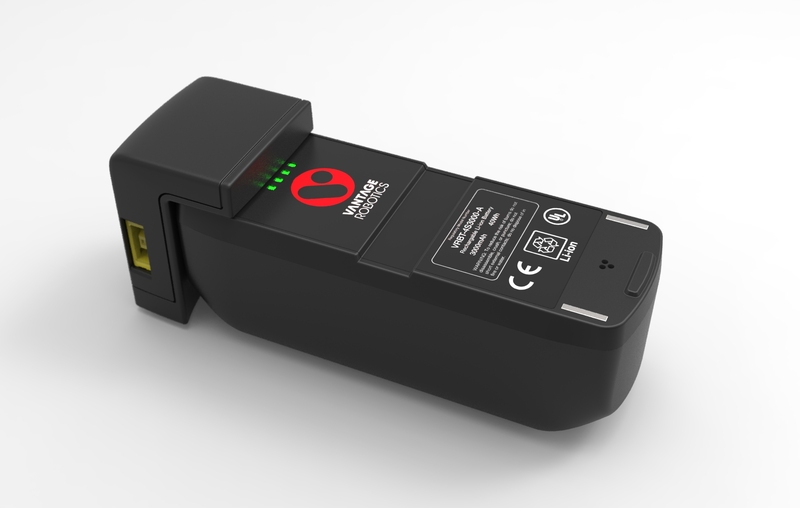 We’ve also completed some additional design work for ancillary parts like our battery charger and product packaging. Here’s an image of the charger below. Like it? We weren’t satisfied with the smartphone interface and decided to redo several portions of the design. Here’s a sneak peak of the latest. We’ll be sharing more details about the app in an upcoming blog post. While the bulk of the design effort for Snap’s software has been done for a long time, making Snap reliable, spectacularly easy to use, and capable of recording gorgeous video has not been, ahem, a Snap (yes, this bad joke may be repeated again). The team is working on getting those last details right that will truly make the difference between an “oh” and an “oh wow”. Examples include a magical and reassuring take-off experience from your hand, a really cool battery that tells you its state of charge just by picking it up, tuning video compression to remove artifacts in all recording modes, and reliable video streaming from Snap to your phone. Software tends to get completed last, both because it often depends on hardware which needs to be completed first, and because there tends to be lead times for hardware fabrication and assembly that leave bandwidth for more intense software development at the end. We have been steadily growing our software team (per our previous update) to support this final acceleration. Get ready for a number of exciting updates on this front as these details come together. When we published our last update, we had completed several of the hardest tools and expected to have tooling done in two weeks. This did not happen. We recently received the first shots of our fuselage top parts, and needed substantially more back and forth with the tooler than we expected (frustratingly, they ended up making a design nearly identical to what we originally proposed in April). The molder still needs to fix a sink (places where the shrink of the plastic causes indentations in the surface) and short shot issues (places where the mold doesn’t fill completely), but we’re told these issues are already fixed and new parts are en route from our shop in Korea. We now have just a few easy parts to go and tooling will be complete after much more effort than we expected. 3-D printed parts work as fine substitutes for all remaining components, so we can now take our testing efforts to the next level. There are 386 unique parts in Snap, with 111 custom parts and 275 off the shelf parts. Over the last few months we’ve been working through getting sufficient quantities of all parts for production, which has presented new challenges. While 99% of this has been smooth sailing, the remaining 1% has required massive amounts of work (I think we already mentioned the earthquake in Japan shuttering our image sensor factory as one example). The team has solved nearly all of these sourcing challenges and has removed components from the design with upcoming end-of-production lives; almost all of the third-party components are either in stock or awaiting delivery. As we also mentioned in our last update, the scope of our testing process was limited by both the high cost of making parts without tooling (a 23-gram rotor set part started its life as a 2 kg block of polycarbonate) and the scarcity of some key components due to sourcing challenges. Since then, we’ve steadily gone from scarcity to abundance as we’ve completed tooling and solved sourcing challenges, and our rate of testing has ramped in parallel. The fuselage top part we mentioned in the tooling section was the final key piece, and we are currently building a 20-unit run of Snaps for internal testing. The most critical bug has been improving the accuracy of our GPS, which has been getting jammed by electromagnetic emissions from our 4k camera, reducing the quality of the signal it registers from the satellites in space and the tightness of our position control. Conceptually, this is sort of like listening for a friend whispering from 12,500 miles away while a stranger next to you is shouting in your ear. 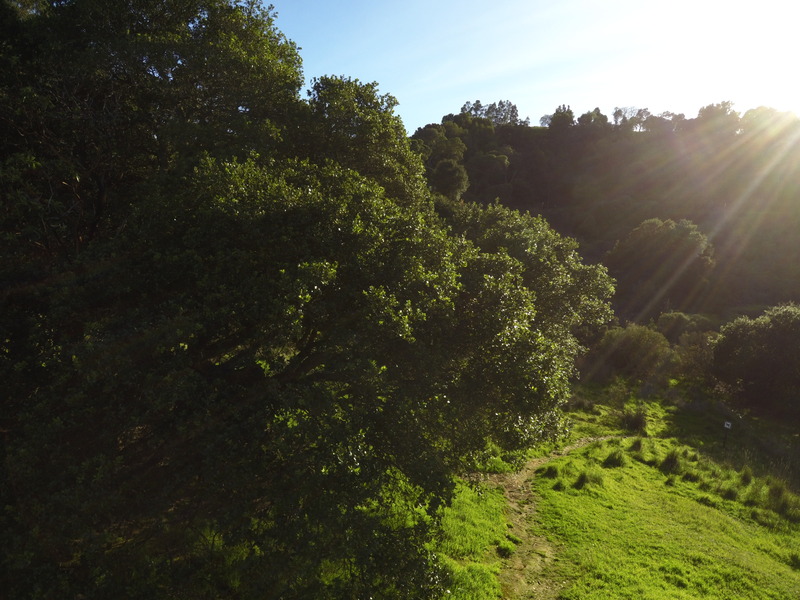 We’ve done several spins of our electronics to improve this and made massive progress to the point that our camera now has lower emissions in the GPS critical 1.2 – 1.6 GHz range than any other 4k camera we’ve tested. That said, we still see a bit more room for improvement and we’re working to make it happen as the quality of the GPS fix is critical to smoothness of video you can capture. The road to completing Snap has had a few more twists and turns than we anticipated and we know this has required some patience and understanding on your side as you await delivery. Thank you for your continued support and kind words of encouragement throughout this process. We can’t wait to get Snap in all of your hands and see the amazing things you are going to do with it.